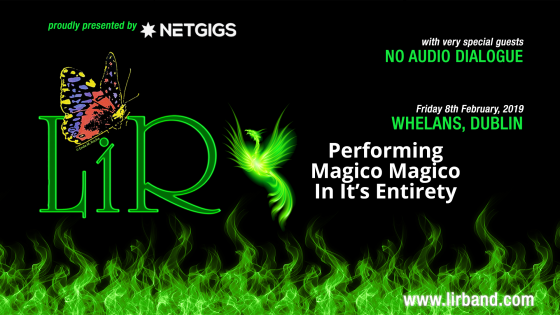 Now is your chance to see the legendary Irish rock band LiR perform live again in their favourite venue on Friday 8th February 2019. This show has been anticipated for a long long time and the band are going to blow the roof off Whelan’s with an incredible live set! For the very first time ever and as a real treat for fans the band are going to perform Magico Magico in it’s entirety. That’s right, the whole album, every single song end to end. Wow!! !